Some readers of this blog know my home base is Atlanta and home town/family are in Oklahoma. 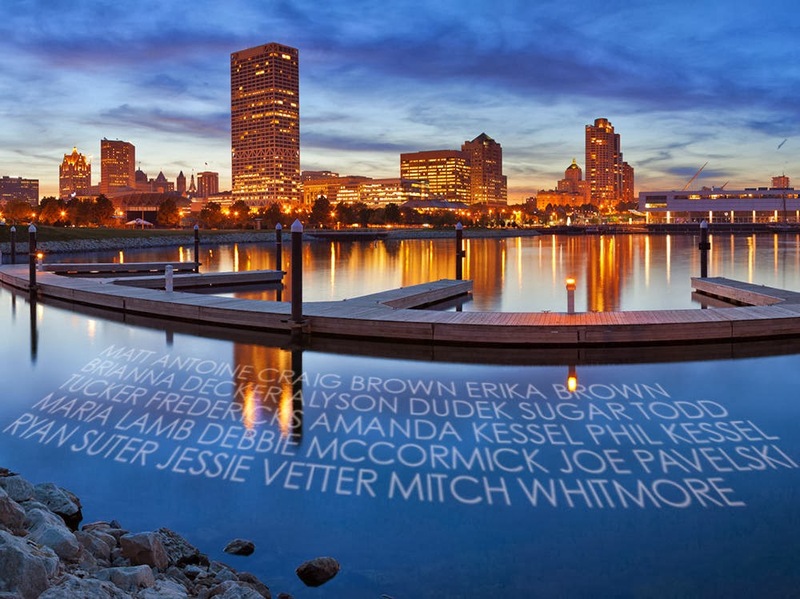 Milwaukee is where my heart resides since my long-time girlfriend lives there in suburban Delafield, Wis.
Each time we drive by the Pettit National Ice Center in nearby West Allis, there's a five-ringed reminder of Milwaukee's ties to the Winter Olympics. And it's good to see the Journal-Sentinel's Gary D'Amato in Sochi after shaking hands at the Team USA Media Summit last year. The Sochi Games includes 15 Wisconsin Olympians, according to this Carnival Cruise Lines gallery of U.S. athletes (see photo atop this post). The last 24 hours in Sochi yielded a trifecta of other big Milwaukee-in-Sochi connections. Through our work for the Citi Every Step of the Way program, on Friday we hosted media at USA House to speak with speedskating Olympic Champion Dan Jansen. With a few clicks, anyone may support his charity of choice, Olympians For Olympians, and it was fun to learn more about his Sochi experience and current projects in the Carolinas. Later that evening, another Milwaukee hero and a personal favorite athlete from Calgary, Albertville and Lillehammer -- Bonnie Blair -- arrived and cheerfully visited with colleagues, friends and fans. 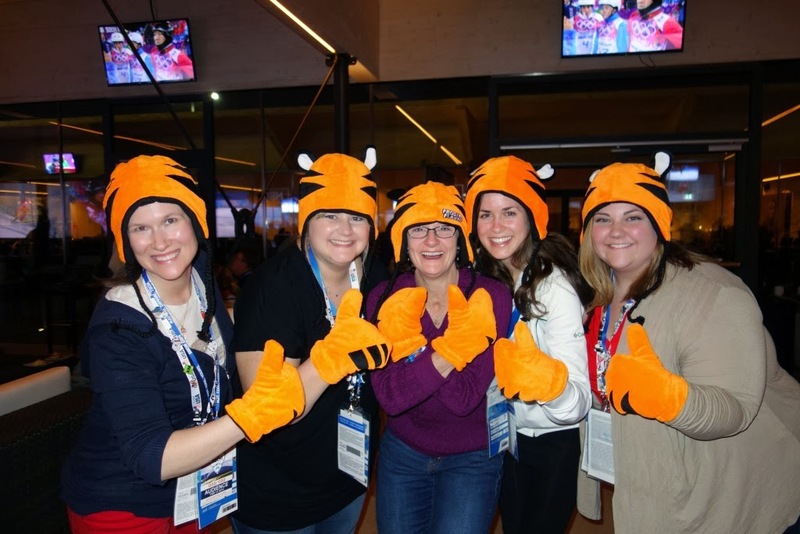 After spotting Blair in the Vancouver Olympic Village in 2010 (she was so friendly then, too), I was very happy to help her snap a few photos with members of the Kellogg's team (for which I am a freelance contributor) who gave an enthusiastic Blair her own Tony the Tiger hat and mittens. Visiting with Blair I learned she now resides only a mile from my girlfriend, and we've both frequented the same grocers, pizza parlor and Delafield steakhouse -- unbelievable! Blair also wants folks to know she is new to Twitter and loving it. And her sister's favorite cereal is Frosted Flakes because "They're Gr8!" 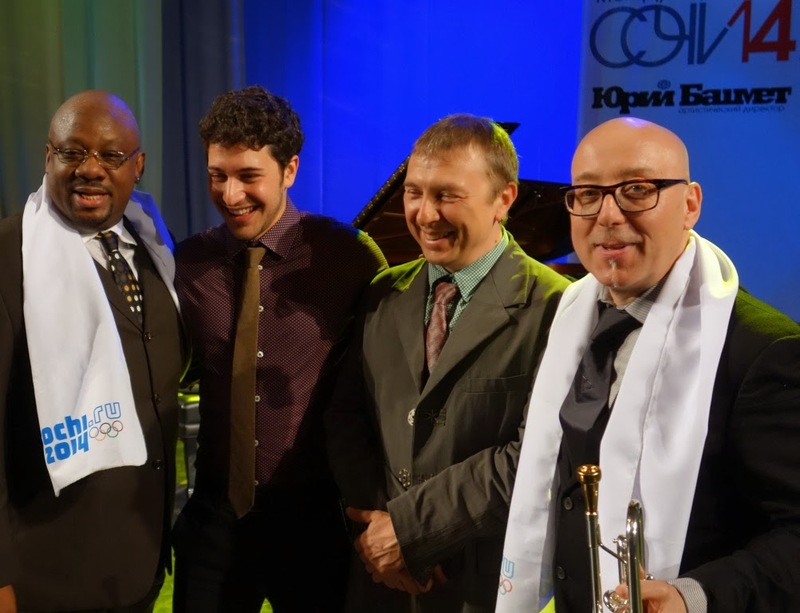 Then came the most surprising Milwaukee-Sochi moment, this time with a Grammy Award winning jazz musician. 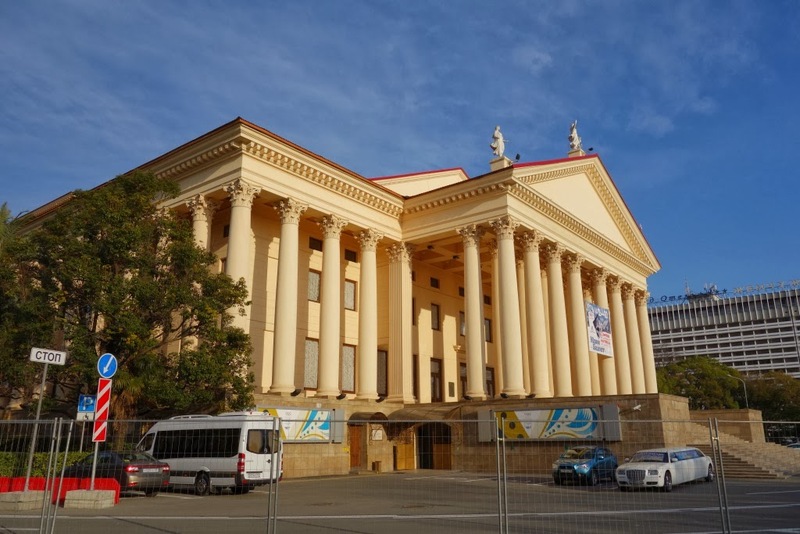 With the Cultural Olympiad underway across Sochi, the centrally located Winter Theater -- a 75-year-old historic venue at which the International Olympic Committee Session took place -- hosted a Russia-USA cultural exchange concert tied to the U.S. Department of State. The theatre is down the road from my hotel, so I bought a ticket and enjoyed a great balcony seat similar to the upper rows of Milwaukee's historic Pabst Theater. 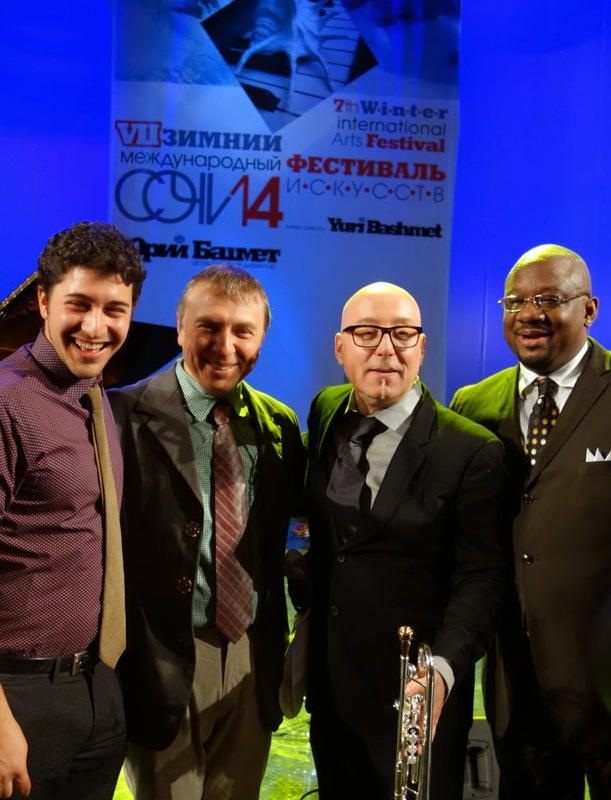 Between songs, Milwaukee-born jazz trumpeter Brian Lynch introduced his band then gave a shout-out to Wisconsin. His on-stage expression was surprise and smiles when the mostly Russian audience reacted to my cheer of "Go Milwaukee!" from the back row. Who knew two would-be cheese-head Americans were in the house? We both learned later a young couple from Chattanooga, Tenn., also attended. After the show, which included mostly new works by Lynch set to debut in a stateside tour this spring, Lynch posed for photos and spoke with a few reporters, sharing that his agent got the call about the Sochi gig awhile ago but he did not plan to attend Olympic events (according to his website he has a Moscow concert on Monday). We agreed to connect again in Wisconsin, and jazz fans there are in for a treat. Only at the Olympics do these connections seem common and "normal." It will be fun to see a fellow Georgian, bobsleigh Olympic bronze medalist Elana Meyers, compete later this week. No Oklahoma athletes spotted yet, but on the lookout. Borrowing from Lynch's catalog, "It Could Be" there is one Okie athlete somewhere in Sochi.